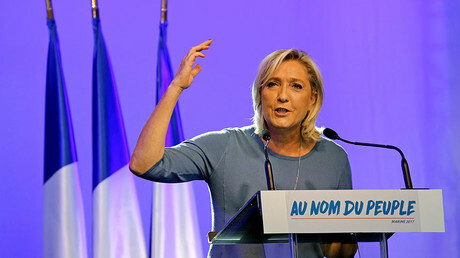 Should Marine Le Pen win a chance to enter the Elysée Palace, her first official trip would be not to Washington, but to the EU headquarters, to signal that Brussels’ superpower has finally come to an end, France's far-right presidential candidate said. “My first trip will be to Brussels to explain to them that I am going to whistle the end of fun and games, the end of this superpower that Brussels has arrogated to itself against the will of people, and that I wish to return the sovereignty of the French people in all domains, without which we can neither move on nor protect ourselves,” leader of the right-wing National Front party said in an interview with Radio Classique on Friday. “I believe that Donald Trump counts on France, but not on the ghost of France,” Le Pen said. “A France, which as in the past had a particular voice, which was a power of balance,” she added. Last week Le Pen made a surprise appearance at Trump Tower in New York, fueling speculation about a hush-hush private meeting with the US president-elect. “I wasn’t at Trump Tower by accident. I was there to catch up with people at my friend’s place, who lives on the 63rd floor. I’m sorry, but that’s where my friend resides on a permanent basis,” she told Radio Classic. 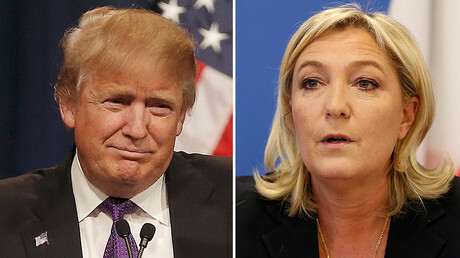 Le Pen promised in November that if she wins the presidential elections, the world would become a safer place, as France will cooperate with Trump and Russian President Vladimir Putin. “If I am president, France would have good relations with Russia,” Le Pen told reporters. She also voiced doubt about the virtues of NATO. “What’s the point of NATO? From what threats does it protect us? That’s the real question,” she told ITV. 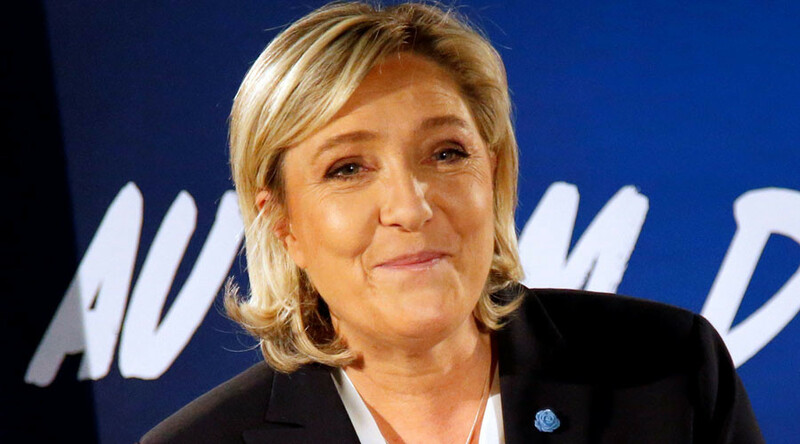 According to the latest survey, carried out for Cevipof and Le Monde and released on Thursday, Le Pen is gaining momentum, leading with 25 to 26 percent of the vote. Francois Fillion comes in straight after Le Pen, with 23 to 25 percent of the vote, and Emmanuel Macron – also gaining support – finishes third with 19 to 21 percent. Some 15,921 people over 18 years old were interviewed for the Ipsos Sopra Steria poll. The survey was conducted from January 10 to 15. The first round of the French presidential vote is scheduled for April 23, with a run-off on May 7.